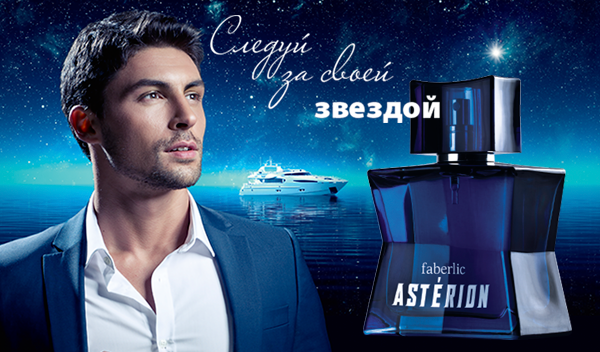 Astérion fragrance was created for Faberlic by the French perfumer Jan Kozeluh. Follow your star! The bottle reminds of a five-pointed star which is a symbol of excellence. It is a source of light in the infinite Universe. The interstellar space is ahead of us. This is the future that transformed into the present, after Gagarin paved the way to it. Follow your star! It will lead you as a voyager in the dark and show the dearest quay. 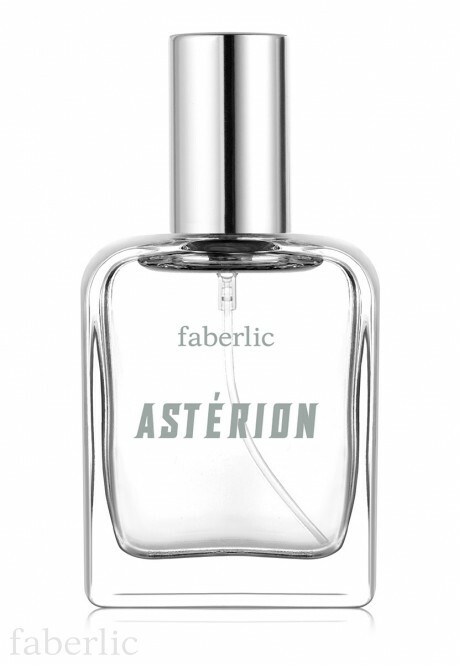 Astérion is a fresh and citrus fragrance with vetiver and leather notes. Like the light of a guiding star, it sweeps you into a cool whirlwind of cardamom, lemon, grapefruit and pineapple. The noble trail with warm touches of leather, cedar and vetiver inspires to new achievements. Body notes: cardamom, pepper, pineapple. 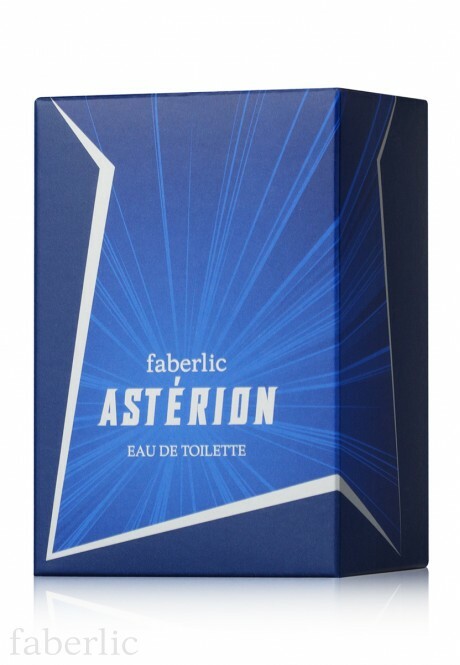 Base notes: leather, cedar, vetiver. 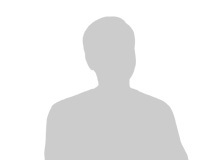 Package: spray bottle, 35 ml. 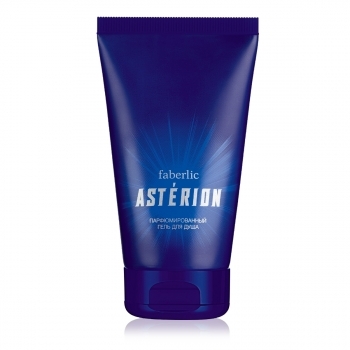 Contains: alcohol, aqua, parfum, d-limonene, linalool, citral, eugenol, geraniol, citronellol, farnesol, benzyl benzoate. Обалденный аромат!!! Тонкий и в то же время чувственный, ощущение запаха кожи и каких-то специй, что-то вроде кардамона и перца... В общем, наслаждение. Нам запах не понравился, пахнет как одеколон! Запах трав какой-то. Шикарный аромат, пряно-древесный, ненавязчивый и в то же время запоминающийся. Приятный стойкий аромат. Покупкой довольны. Мой сын в восторге! Приятный не резкий аромат, освежающий и притягательный, необычный! Очень приятный запах, любимый человек остался доволен.